La Porte is kind of a grimy old town, new customer I never visited before and while I've been all over Indiana (and NW Indiana specifically), never been here before. My work was pretty pleasant, there is nothing better then hitting the road for a day trip on a Friday, it's like ending your week early. So afterwards I ducked into this little thrift shop in search of vinyl with low expectations but a good attitude nonetheless. Well, nothing to see here. Mostly religious junk with a smattering of useless orchestral tunes to fill out the crate. But a nice quiet store with a couple other people digging through their collectibles of choice and a lady behind the counter who gave me a friendly, small town smile as I exited the premises empty handed. The coolest part about the trip was that there was an old abondonded school across the street, here in this residential neighborhood. Lots of windows were busted out and the date above the door says 1893! It's a shame that in this day and age there surely isn't enough cash to go around in a place like La Porte to turn this place into something useful or maintain it somehow. I'm sure that the church that ran it still exists but that is a big undertaking to get a place this big functional. But what a waste, this building was built to last. I waited about 10 minutes for a couple parked cars to leave so I could get the angle I wanted. I took many others and none were great, I had some fun processing this one in my truck and I'm happy with it. Even Goodwill celebrates their vinyl culture and wants to get in on the RSD madness and I have no problem with that. Or maybe I only feel that way when they load their bins with rare Chicago polka vinyl prior to my visit. The Naturals album is a no brainer: great condition and it is a mono version, which I did not know exists. I already know a stereo version exists, so this opens the door to two versions of many Chicago Polkas albums and is worthy of further research. The Lil Wally albums I can pass on but the Eddie Zima stuff is a revelation. Eddie has plenty of LPs on Dana, but I was not aware he had more than one on Jay Jay. The second one had to be added to the db (I did this from Goodwill, waiting while my girlfriend shopped. I'd had just bought it but side B had a pretty big, deep scratch). I dug and dug for the jacket to this Ampol album but to no avail. Very sad. I also came across three Norteno albums, none in their jackets. Maybe they were kidnapped and tortured by a cartel? One was by LTDN and I'd have grabbed it, I even searched. What a shame. I just grabbed the US version of one of theirs after waiting for months for a good price on discogs. I've carefully dug through Grand Rapids many times over the years. I've been in too many thrift stores to count and I've been through all the record stores I could find. So during my 32rd trip to GR after I ran through two new (or at least new to me) thrift stores, I felt unfulfilled. So I checked the map on the rare chance that a new record store had popped up since my last visit (surely I had already been to all of the existing shops). 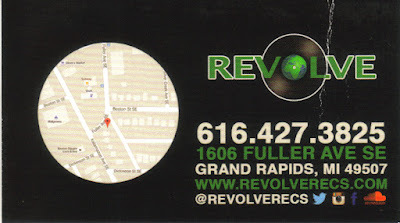 When Revolve Records came up, I was confused. I felt like there was some familiarity there...I must have been there before. But all the reviews were within the past few months and when I looked at the street view, I knew for certain: it was new. And with that, I was on my way. Revolve is on the corner at a main intersection but immersed in a residential neighborhood. A winding concrete staircase leads you to the front door. Inside I found just one guy behind the counter and another lounging on a worn leather sofa. My eyes tuned in like laser beams and I assessed the room. I saw the lone bins in front of me against the wall and without wasting any time, I got involved in that. Once I was elbow deep I found mostly R&B, some soul, hiphop, a good dose of jazz and even some gospel. I found my first platter almost immediately. I saw one Deniece Williams LP and checked the track list. No, this was not what I was looking for. Lucky for me the second one just behind it held the track I needed. As I struggled to jam my 6'3" frame into the lower bins the clerk was nice enough to bring me the short cube in the foreground to sit on so I didn't have to crawl around on my knees. Very courteous - he clearly knows the pain of audio archeology. "It's Gonna Take A Miracle" is such a great example of proper musicianship from the vocals (of course) to the band which epitomizes 'chops'. The bass line especially has intrigued me of the last few months that I had to sit down and learn it. This only furthered my obsession. I'd like to thank this gent amongst the many who have posted youtube videos for his help in instruction, I found this video to be superior to many others in both technique and the actual transposition of the music from recording to playing it on an instrument. After that I meticulously looked through every record in the shop. I found a Blue Note classic late in my hunt and despite the condition, knew this would be a candidate, depending on what the clerk (owner?) thought it might be worth. But as soon as I picked it up, I found something else inside. I knew something wasn't right, it was way too heavy. It was a Riverside oldie but even more beat than the record that DID belong in the jacket. I wasn't interested in anything that beat (or honestly, even if it was decent) so I was already running through the scenario in my mind: showing my great honesty, the clerk would cut me a deal on the record I wanted. Turns out, there would be no need. He ended up telling me to keep the bonus record and that he'd take $12 for both. Sounded fair to me! I commented that this was my first legit Blue Note release but I later realized that wasn't true. 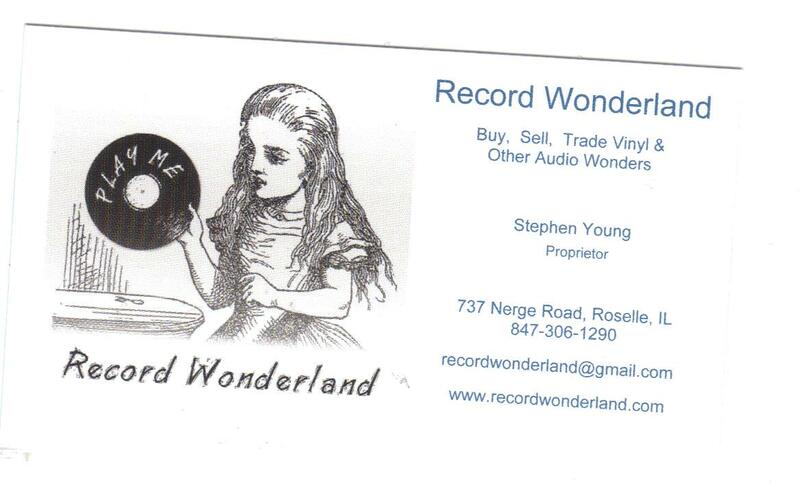 How could I forget the record I earned through my speaking engagement at the record fair/flea market so long ago? I guess when you jet set around Illinois these things slip your mind. Ironic that both vinyls are from the same artist. The clerk offered to let me peruse his 45s and brought them up the counter. All cleanly arranged in fresh white paper sleeves - nothing worse than naked 7"s. I glanced through but didn't find anything so I got the checkout process going. Very pleased to see the trademarked paper bags (it's still sitting at home, I always have trouble throwing these things away when I get them....should have taken a pic to add to this post). A small and possibly inexpensive touch that I always find adds value to the shopping experience. I asked if this was his place and indeed it was. Daniel aka TUD was not the clerk - he was the owner! We chatted briefly and I started to think about how similar this place was to Funk Trunk, another shop where I had a really pleasant look around. Similar selection of vinyl, similar quantity of inventory, just about the same size room, both times got to chat with the owner. 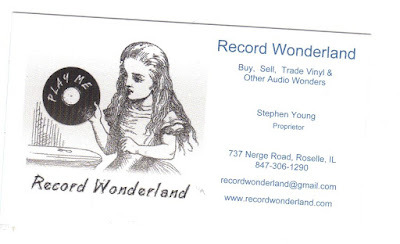 Nothing delights me more than these one-on-one experiences, except maybe being able to put some money in the coffers of a small, independent, old school record store. I will definitely be back next time I am in town. TUD gave me a bunch of business cards, I added one to my collection (need to scan that sometime soon) and then I set out in my remaining time in town to do some free advertising for Revolve. First up was the coffee basket in my hotel room. Very sad news which I luckily caught in time to make one last trip to a shop that has been particularly kind to me. It was pretty remarkable to have a legit thrift store in my hood and I'm proud to say I took good advantage of it. I documented more than a couple trips there but there were many others that didn't turn up much. I first visited almost exactly three years before they closed. I scooped a garage sale type find which I don't regret because track B2 is such a classic. It is funny that back then I wasn't even clear on what 'Savers' was and went in totally on a whim. Made a very brief post about a visit just a few months later when I grabbed a pretty beat but important vinyl that I'm still glad to own (especially for the price). That fall I am very grateful that I did not pass on a bizarre disco record. Even if not totally listenable, an important collection piece to have in the inventory. Early the next year is when things really started to pay off for me. I hit pay dirt with a duplicate of my barbershop quartet magna carta and grabbed two Chicago polka records that I still hold dear. Just when I thought things couldn't get anymore outrageous, I found a bevy of rare vinyls, too many to buy all at once, so I grabbed what I could. Still can't believe these scores. So that is eight whopping records from one shop, even if the first couple are pretty minimal in terms of rarity, etc. 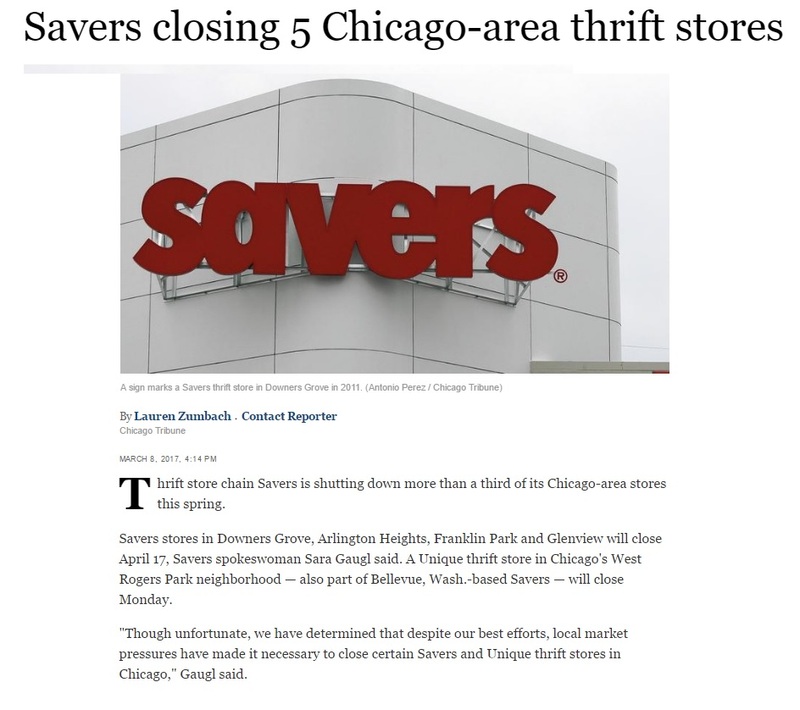 When I found out about the close and read the story above, I made plans to get in there that last week. So I rode down there one day after work. Then I got inside and saw that they had modified hours, it was about 7pm but they had closed at 6pm. So my last shot was to get in there on Good Friday. I wish this epic had an exciting ending. I had to elbow my way into the bins with a lady digging through the DVDs. Besides a mint copy (still in shrink, original inner sleeve) of Roger's third (if it had been mono I'd have bought a duplicate) and a weird promo (there were actually two copies), the place had been picked through pretty good. Rest In Peace, Savers FP. You'll will be missed.